This past weekend was the 7th Annual T-Bone Walker Blues Festival held at Music City Texas in Linden just up the road from Jefferson. The Blues Artists this year were a mix of great Musicians. 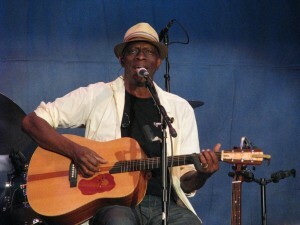 Keb’ Mo was this year’s headliner Saturday evening. After the main headliner slated to come this year passed away unexpectedly Keb called the organization and offered to take his place even though his schedule was tight. That speaks volumes about how much this event means to the musicians. If you come for next year be sure to check into becoming a sponsor and getting VIP tickets for the event. 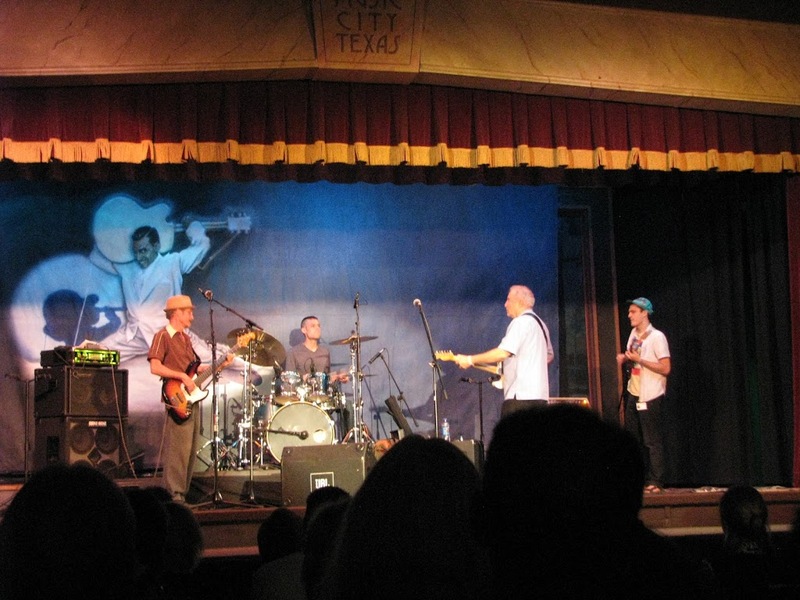 Also book your reservation at our bed and breakfast early because the guest rooms in town fill up early for the regular musicians and sponsors who come from every corner of the United States for this event. The VIP tickets are well worth it because you are giving your money to a very wonderful organization. With the tickets you not only get seats for the festival you also get access to the area behind the main building where you can sit at tables visiting and meeting the musicians, go inside the air-conditioned tent and pick up a plate of homemade food anytime, quench your thirst with an assortment of drinks and see a wonderful display of family items and pictures of T-Bone Walker’s life and career. I have to admit I have not been exposed to Blues music to this degree before and I loved it. Auctioned Guitars with the Blues Artists Autographs! 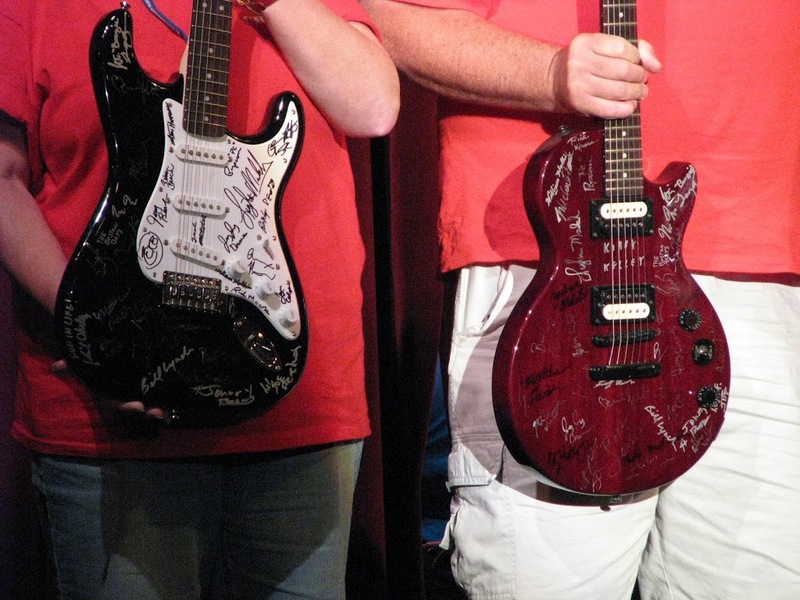 During intermission a selection of guitars were auctioned, many were signed by the attending artists this year and then one Takymine acoustic guitar was signed by each of the original members of the legendary group the Eagles. Bill Lynch and the Midwest Icons with the Boston Boys. 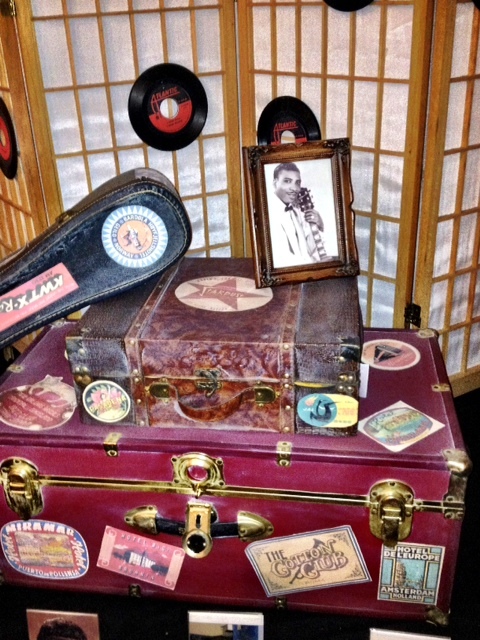 The White Oak Manor played host to a band member and a friend of Bill Lynch’s who came down from Kansas to spend time at the festival with his old friend Bill. On Saturday our dog Utah was making a big fuss so I went outside to see what the problem was and there was Bill Lynch, his bass player and a few other friends in the front yard taking pictures. Upon meeting Bill I introduced Utah and they became fast friends right away. Then I offered to take the groups pictures for them. Later David and I went up to Linden and had a really great time at the Blues Festival.